Persona-based marketing has been used for decades to help craft targeted promotions and messages that appeal to the best prospects. While personas shape webinar content, they are often misused resulting in diminished effectiveness and persuasiveness of your message. Who should attend? 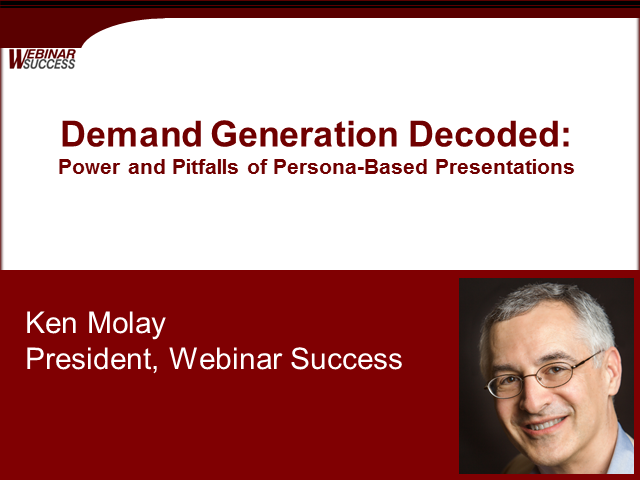 Business marketing professionals who create and deliver exceptional webinars for demand generation.